The Syrian refugee crisis has put EU-Turkey relations under pressure for action, as in 2015 hundreds of thousands used the Turkey-Balkan route to enter Western Europe. Against this background, the article aims to analyse the EU-Turkey negotiations of autumn 2015 as a ‘two-level game’, focussing especially on domestic factors in Turkey and Germany and their possible impact on their governments bargaining power. Specific domestic factors such as the controversial ‘open-doors policy’ of chancellor Merkel as well as the hung parliament in Turkey after the June elections are taken into consideration. The article then applies the basic logic of ‘two level games’ as introduced by Robert Putnam on the EU/German-Turkish negotiations leading up to the ‘refugee deal’ (EU action plan) of November 2015. Among others, it turned out that significant veto powers in both countries were not in sight and that a non-agreement would have raised the political costs for the EU side more than for Turkey, thus pointing at an asymmetrical distribution of bargaining power in favour of Turkey. Eight chapters were blocked from further negotiation following a recommendation of the European Commission in autumn 2006 due to a lack of implementation of the extension of the customs union to the 10 new member states from 2004, especially Cyprus. Other chapters were blocked from opening by France and Cyprus, see Horst Bacia, „Ausgang ungewiss – die Verhandlungen über einen Beitritt zur EU“, in Länderbericht Türkei, ed. Udo Steinbach (Bonn: Bundeszentrale für politische Bildung, 2012), 431-463, 455. Hans-Jürgen Bieling and Marika Lerch (eds. ): Theorien der europäischen Integration. (Wiesbaden: VS 2006); Antje Wiener and Thomas Dietz, European Integration Theory. (Oxford: OUP, 2009). ISNAD Krumm, Thomas . "The EU-Turkey refugee deal of autumn 2015 as a two-level game". 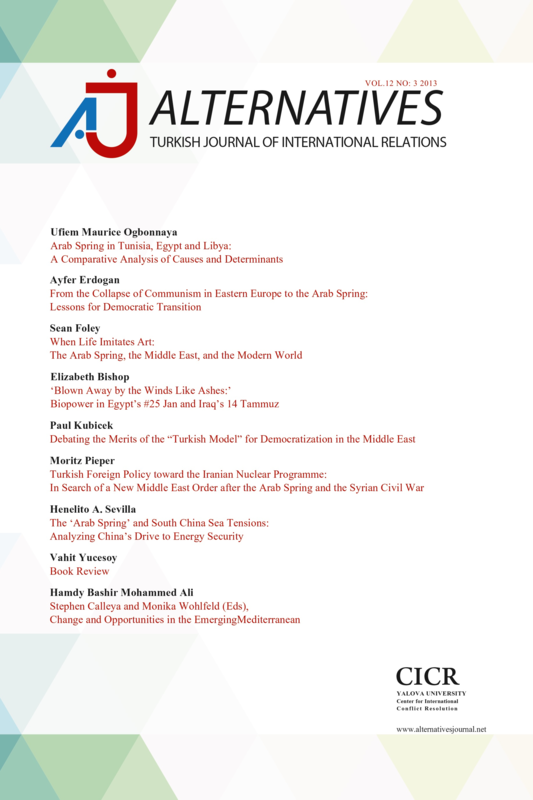 Alternatives: Turkish Journal of International Relations 14 / 4 (April 2016): 20-36.